Sustainable Growth Investing for total return in a changing world. Take advantage of the intersection of the “smart everything world” and the “slow growth forever” global economy. This service is designed for those with a long-term growth outlook who are willing to accept the average risk of the stock market, but are attempting to beat the indexes. Long-term economic and social secular trends. Government and central bank policy. Fundamental value analysis of sectors and companies. Price trend analysis which yields clues to future price movements. Sustainable Growth Investing members recognize that the world is changing and the rate of change is accelerating. One thing is constant though. Growth stocks and companies with valuable assets, that are trading at value prices, are still among the best to invest in. We provide a model portfolio of our “focus” stocks to invest in when prices are right. These are the 30 companies we believe offer the best opportunities long-term. We cover over 100 companies total and are constantly screening and researching to find more. 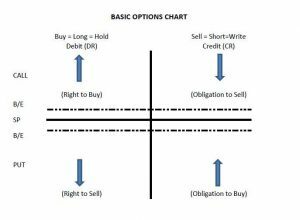 You will learn how to trade options as part of this service. In particular, you will learn how to make “position trades” using LEAPs which are long-term call options. We use these only in special situations, but when those times occur, we are sometimes able to double or triple money in under two years. Sustainable Growth Investing also includes memberships to 401k Alert so that you can manage your retirement plan at work and ETF Tactical Investing so that you can build a core asset allocation. You are also entitled to 75% discounts for investment planning consultations with Kirk Spano via Bluemound Asset Management, LLC. Those services are typically $200 per hour and are yours for only $100 per hour. Sustainable Growth Investing is priced at only $399 per year. You can also try us on for size for only $149 per quarter and upgrade to annual with the full annual discount when you are ready.